You begin paying into the social security system with your first job but if you are young and building your career, your mind is likely preoccupied with shorter-term priorities. You may be working long hours or starting a family, making it difficult to think about retirement and social security. For now, just keep in mind that there are a few things you can do during your working years to help maximize your ultimate benefit. Your social security benefits will be calculated based on a system that accounts for your level of income throughout your career. Therefore, if you can earn a high income in some years, it will pay off in retirement through a higher social security benefit. If you want to maximize your benefits, you will want to work for at least 35 years. While you may be able to earn the 40 credits necessary to be eligible for social security in as little as 10 years depending on your income, working longer will increase your social security check. This is because the social security administration calculates your monthly benefit by averaging the salaries from your 35 highest earning years. If you work fewer than 35 years, the administration will count some years at zero. Waiting until you are 66 or 67 (depending on the year you were born) to take social security benefit will positively impact your benefit amount relative to collecting it early. As you approach retirement, your priorities will shift. You should take the time to evaluate your social security options to be sure you’re maximizing your total available benefit specific to your personal circumstances. First, take the time to evaluate your social security statement to make sure it looks correct. If it’s missing years where you had earned income, file a request with the social security administration to fix the error so you get credit for those years. You can also take this opportunity to understand how your remaining years of employment may impact your future benefit. The more years of higher income, the better. As a social security beneficiary, you have options. You may take social security early (at age 62). However, your benefit will be around 25% lower than if you wait until full retirement age at 66 or 67 (depending on your birth year). In certain situations, however, this might make sense. For instance, if you have health issues that may decrease your life expectancy or if you need the income, you may want to consider taking your benefit early. 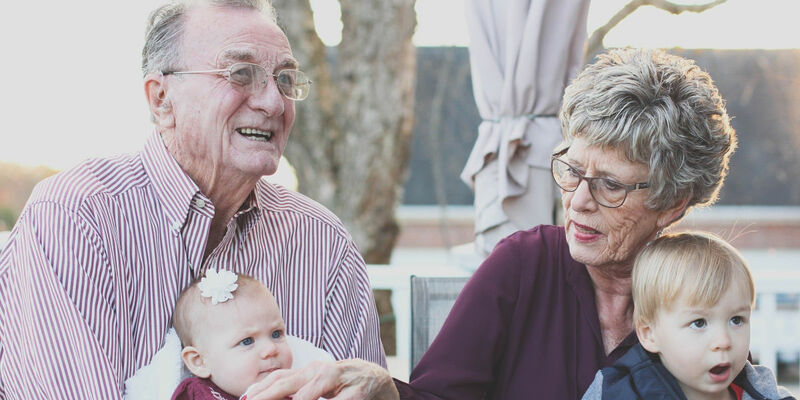 For individuals who expect to live beyond their mid-eighties, waiting to take social security until age 70 may be worthwhile thanks to the 8% annual credit if you choose to delay your benefit beyond full retirement age. If you have a long life expectancy, this might make sense. Beyond these typical considerations, death, divorce, and disability will impact your social security options. If you face one of these events, you should check the social security website to ensure you optimize your income. If you are married, the social security decision can be more complex but offers more options. If only one of you works, the non-working spouse can begin taking half of the working spouse’s benefit or begin taking their own benefit if they worked in the past, whichever is greater. If you both work, the spouse with the lower income may begin taking benefits at 62 with the higher income spouse taking the half spousal benefit. Then, the higher income spouse may start their benefit at age 70. This is referred to as a 62/70 split. The optimal approach will depend on the dynamics of your personal situation. We suggest consulting an advisor. If your spouse is deceased, be aware that you are entitled to their benefit if it is more than your own. You can collect a reduced benefit as early as age 60 and at any age if you are not remarried and care for a child under the age of 16 or who is disabled. In addition, your unmarried children under the age of 18 (or 19 if attending school full time) may collect additional benefits. Stepchildren, grandchildren, step-grandchildren, and adopted children may also receive benefits in certain circumstances. If you were married for 10 years or longer and are not remarried, you may collect your ex-spouse’s benefits. This can be an important consideration in getting remarried, unless your own benefit is more than your ex-spouse’s. You may still be able to collect your ex-spouse’s benefit if you remarry and have been divorced from a second spouse for more than two years. If you were disabled before the age of 22 and remain disabled, you may collect your deceased parents’ benefits. In addition, if you are over the age of 18 and unable to work due to a condition that is expected to last at least 12 months, you can apply for social security benefits at any time. These examples and suggestions are just scratching the surface of the social security decisions you will need to make in your lifetime. It is worth your time to evaluate your personal situation throughout your career, ideally with the help of an advisor.